← The Cech Factor, Mesmerising Mesut, Spanish Bull Backs, Rambo Dynamo: 10 PL positives until now. Every time, good old Giroud misses a few chances and we do not win a game, you can count on supporters demanding Arsenal to buy a ‘proper striker’. Many of these supporters do not want to hear about Ollie’s very impressive stats because they want to trust their own eyes, and these simply witness a striker not taking ‘easy’ chances, and then we draw or lose the game and there is only one conclusion to pull: Giroud is not worthy of the Arsenal shirt. Get rid of him you tight-arsed Wenger – spend some fecking money! Sadly, fans love to focus on Ollie’s limitations rather than his qualities and attributes he brings to the team. They have a certain picture in their mind of what a centre forward at Arsenal should be like. Wenger has worked with and developed some of the finest CFs we have seen in this country: from Wright to Anelka, and from Henry to Van Persie. So, you wonder why he is sticking with Giroud as one of his key CFs in the team? This season, he is giving Theo a chance up-front, and it even looks like Ollie has become our second choice CF. Theo got injured during the Sheffield Wednesday game, and OG12 has stepped up for us, getting goals against Swansea and Bayern away; but a goalless display against the much despised Spuds was enough to criticise him once more. So what is wrong with Wenger: why does he keep his trust in Giroud? Why doesn’t he get a ‘typical’ Arsenal striker who can score 25+ PL goals per season? Why does he keep rolling the coins in his richly filled trouser pockets? I reckon Arsene knows better than any of us what a top quality ‘classical’ CF should be like, and he also knows that Giroud is not one of them. But you might remember Gazidis saying back in 2012 that Arsene allowed Van Persie to go for technical/footballing reasons. Many of us, including me, pooh poohed that comment back then, believing we were simply not able to keep him any longer and did not want to lose out on £24m by forcing him to serve out his contract. With hindsight, I reckon the footballing reason was with reference to our over-reliance on a top quality CF, and the risks that come with this. In the 2011-12 season, we had become very dependent on Van Persie to win us games. The Dutchman loved to be the centre of attention and he revelled in the responsibility he was given. But Wenger, who at the time had very few alternatives for scoring goals on the pitch and on bench, will have realised that our overdependence on him could have easily ended up in catastrophe. An injury to Van Persie, or a sustained loss of form, could have been disastrous to our (minimum of) top four target. He bought Podolski before Van Persie was sold, and he brought Giroud to replace the Dutchman after the latter had fallen for the beauty of old Red Nose. Since then we added Alexis Sanchez and Danny Welbeck to our attack, let Podolski go and gave Campbell a chance to proof himself after a number of loan spells. None of these players, nor Theo, are typical CFs in the Henry or Van Persie modes. But what we do so much better now, is spread the goals between a number of players. Giroud (in 620 PL minutes) and Alexis (in 957 PL minutes) have each six PL goals, Theo has two (in 503 PL minutes), Koz has two and then there are a few players with a single goal for the team. Not a bad return for 12 PL games, and we also now know that if one of our key goal scorers has an off day or is injured, you can count on another one filling the void. This is so much better than being over reliant on one top CF, like Man City were to a large extent last season: once Aguero got injured they quickly became toothless and ended up winning nothing. The same goes for Manchester United, once Van Persie lost his shooting boots two seasons ago, the club struggled to get back to anywhere near the PL top, and Van Gaal still has not got the balance right. None of our main competitors in the PL have a genuine top, 25+ CF anymore, other than MC, it seems. However, even the Northern Oilers have brought in a number of attackers to spread the goals as well, with Bony, De Bruine and Sterling all joining the club for £100m+ in 2015. Despite this, they only scored two goals in their last three PL games (after netting 24 in just 9 PL games) when they had to manage without the Argentinian firecracker, drawing against MU and Villa and just outscoring Norwich at home with the one goal. Furthermore, MU’s top goal scorer is Mata (!) with four goals currently, and the Chavs do not even feature in the BBC PL top scorers’ list 🙂 . The Spuds have Kane on six goals (in 1040 PL minutes). The question to ask ourselves is, is it really that hard to find a top quality CF or are clubs moving towards spreading the goals over more than one or two players, thus reducing their dependence on the one top quality CF? Some might say it is simply a matter of having a good replacement on the bench in case your top CF gets injured; but, loose from the fact that top quality CFs are in short supply currently, a quality CF will simply not accept a second fiddle role. Instead, it is far better to spread the goals within the team: we become less reliant on the one individual and our competitors have a far more difficult job in isolating our goal-threat. Finally, what Giroud, Alexis, Welbeck and Theo all have in common is that they have stamina and work their socks off (yes even Theo is doing this now) – something Podolski could not offer for 90 minutes, and I reckon this was the main reason for letting him go this summer. They are also different attackers with individual strengths that the team is utilising better and better. And together they get the job done, being both unpredictable and highly successful in getting the ball into the net in almost all games we play. I like to believe this is all part of Wenger’s bigger plan. So, next time we do not win a game, make sure you do not focus on the one individual but realise that it is a collective failure. Times have changed, and the classic 25+ PL goals per season super CF may well be a thing of the past. This entry was posted in Uncategorized and tagged Arsene Wenger, Attack, Giroud, Sanchez, strategy, Walcott. Bookmark the permalink. Your points of view are valid, as always! But there is always negatives to find in positives and of course vice versa! Selling RVP was a great bit of business back then, especially when you look at where he is now! Great hold up play and able to bring others into attack, misses easy chances as well as scoring a cracker now and then. Lewandowski could be the answer to the classic 25+ a season goal scorer. The Pod was a very effective attacker and an ideal supersub. You may be right re off field hobbies.. Lewandowski is probably an improvement on Giroud but he chose the Lederhosen so unlikely to join us now. Evening TA. I think you know already that I share your take on Giroud; as our finest talent is in our pool of attacking midfielders, his strongest contribution will be through making space and bringing them into play, rather than through going for goals alone. I have to say I bear RVJ plenty of bitterness still for the way he chose to criticise the club and manager that had developed him through all his injury plagued years, so that he could jump ship the moment he was playing without injury. Whilst I enjoy watching his current predicament I can’t help but reflect that, had he stayed with us, I think we would have won the league 2 years ago having led for most of the season. City would have won the year before (what would Fergie have done then? ), but we would have had that bit more to get us over the line ourselves. Anyway, enough of RVJ; he won’t be playing for long now I suspect, unless he heads to the US. I don’t think that Giroud is irreplaceable in our side. Indeed I am sure that the Benzema rumours etc were not without some foundation. If we do buy in this area it is likely to be real top talent which reflects well on Giroud – he may not be an Henry, but he is a fine striker of the type our team needs, and far from easy to upgrade. Great article. Anyone who thinks Giroud is rubbish knows nothing about football. Yes he lacks pace but he is technically gifted and works hard for the team. He is unselfish, brings others into play and is intelligent. 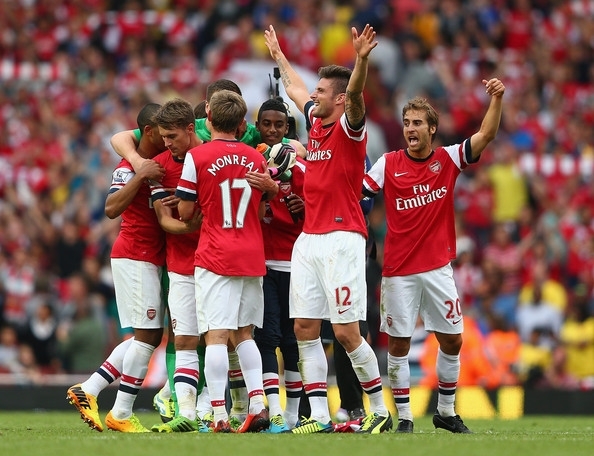 Lets not forget that not all traditional CF’s can adjust to the Arsenal’s style of play and team philosophy. There are NO superstars permitted at AFC, another reason the Dutchman was sent on his way. Wenger believes in sharing the goals and the accolades that come with a team effort, looking at a guy like Costa, how well would he fit in, or even a Ronaldo, with his outsized (but justifiable) EGO. I’ll take a Wellbeck or Walcott anytime, thank you. For the striker issue, we do not have a mentality that keeps winning us games. Giroud was like Ozil the first half of last season, sulking after misses and uncalled fouls. He needs to have Alexis’ brain copied and transplanted into him to be more mentally strong. Welbeck is like sturridge, a good player but with far too many injuries for his career to pick up. In the recent years we have brought in Alexis and Ozil and offloaded van judas, which i feel that is similar to giroud in terms of mentality and strength but shoots when spaces are created. So i am not going to go against another world class striker, and the injuries management team needs revamp. Its about ibrahimovic and lord bendtner, and i feel that lord bendtner still has what it takes to play in the top level, even though he was kept in the arsenal fridge for so long. Take him back and change the whole striking situation? 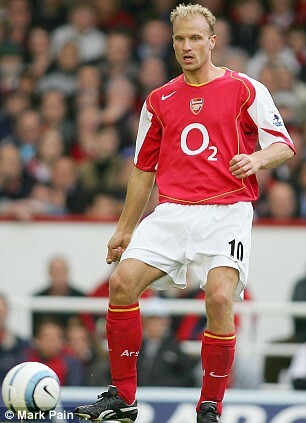 All agreed re RvP, AB, a silly man who had a chance for Arsenal immortality but threw it all away. I think (correct me if I’m wrong…) that our friend from Singapore is serious… My hope is that he’s yanking our chains, but you never know… How was the trip to Japan?